When you’re in need of quality roofing in Jacksonville, FL, don’t think that you have to settle for anything less than the absolute best. Best Roof Jax is the roofer for you. Since being established in 2005, we have always strived to go above and beyond for each and every one of our customers. Not only do we want to provide you with quality roof repairs and replacements, but we also want to provide high-quality customer service as well. Our team makes it a priority to make sure that you are well aware of every single detail in the process, from start to finish. You can have peace of mind knowing that your roof is in the hands of fully insured and certified roofing contractors (CCC1331044) that will meet your every need. 904-500-2378 is the first number to call whenever you need premium roof repairs in Jacksonville, FL. 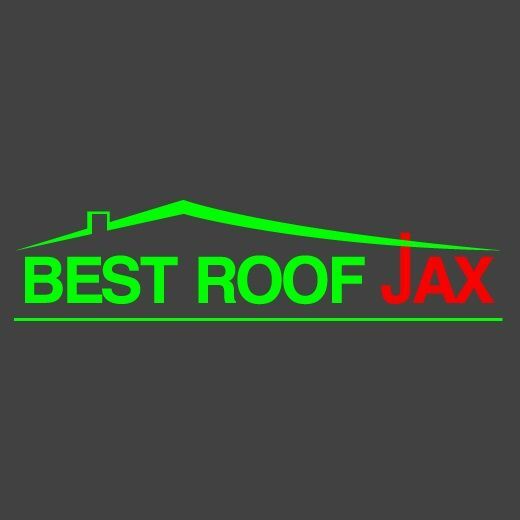 Best Roof Jax isn’t just another roofing company, we have been the go-to roofers in Jacksonville, FL when you’re looking for premium grade roof pairs and other services. Financing is always available for your roofing project. Best Roof Jax handles all types of roofs, but our most common are residential properties. Since the company was founded in 2005, technology has improved. After experimenting with all brands of roof shingles over the past decade, we have now determined the ideal shingle for the First Coast area! Atlas shingles offer a superior warranty and are available in many colors and styles. Combine Atlas shingles with our superior workmanship warranties and you will get the BEST Roof! When considering a new roof for your house we are proud to offer 3 different systems. • Residential Flat Roofing: Flat roofing for residential homes provides quality, durability, and flexibility. Best Roof Jax provides economic roofing solutions for your home. • Metal Roofing Installation: Although traditionally known as a roofing material used for commercial properties, metal roofing has now crossed over into the . There are so many benefits that come with choosing metal roofing to protect your home or business. Contact us for more information. • Preventative Maintenance: The best way to avoid any catastrophic damage to your roofing system is to have preventative maintenance performed on a regular basis. This allows us to seek out and find any small issues that may have gone unnoticed and potentially save you a substantial amount of money that could have been spent on more major repairs or installation. Schedule yours today. • Shingle Roof Replacement: For decades, shingles have been the most popular among all roofing materials in the industry and for good reason. After a while time and elements do begin to wear on them, calling for replacements. When that time comes, we’re the roofing contractors to call. Whether it’s a residential or commercial property, our roofing specialists are here to get your roofing system operating fully again. Dial 904-500-2378 to discuss with our experts about how we can help you today!